A specialty high-performance finish that's often taken for granite. Utilizing raw materials and design input from literally all corners of the globe, Dryvit TerraNeo embodies its Latin root - and is truly "new ground" in exterior wall finish technology. TerraNeo contains natural quartz, minerals and mica, blended together in an acrylic polymer matrix. 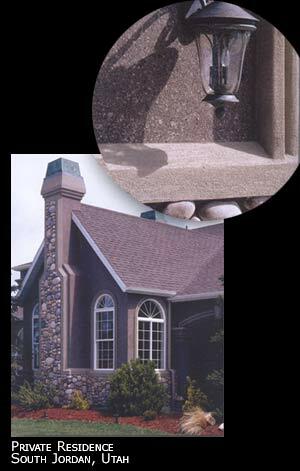 Applied to the wall by hand with a trowel, TerraNeo can be used inside and out and provides a durable, beautiful and affordably refreshing option for finishing Dryvit systems, tilt-up concrete, unit masonry, stucco or interior drywall. Put simply, TerraNeo looks a lot like granite. Unlike granite, however, TerraNeo comes without the weight, cost and extensive lead time. When used as a finish for a Dryvit exterior insulation and finish system, it's part of a cladding that can be up to 84% more energy efficient than 6 other commonly used wall systems*. *As tested by the Oak Ridge National Laboratory. Click here for information on this report. Why should you specify TerraNeo? 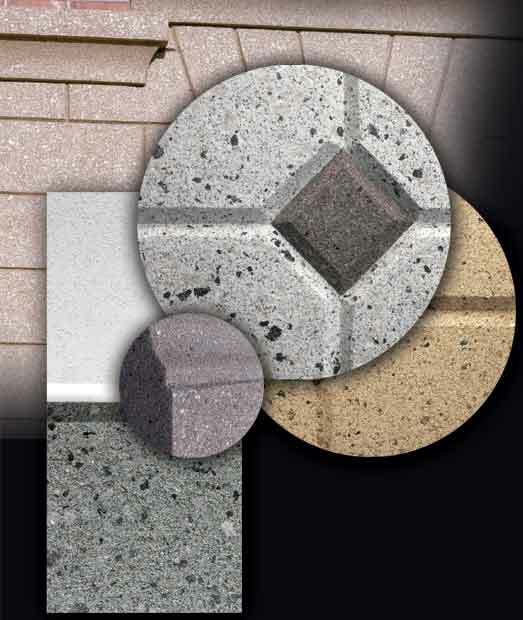 Dryvit is renowned for helping create 'curb appeal'. The use of special shapes and decorative reveals that create dramatic architectural details is one of the hallmarks of a Dryvit system. 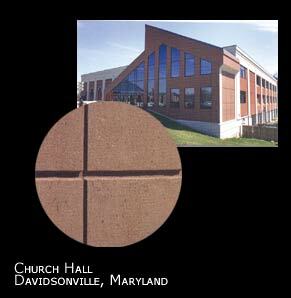 Today, a wide variety of Dryvit finishes such as TerraNeo, Custom Brickï¿½, and Lymestoneï¿½ allow the architect to create spectacular designs and details never before possible or affordable with more conventional materials. Visual Appeal. It creates an attractive, unique and expensive appearance for building exteriors. Variety. 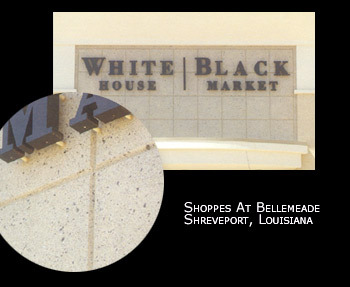 It can be custom blended to match your specific design criteria. Availability. With suppliers in 120 locations in North America, TerraNeo can be on your job site in days. Energy Efficiency. 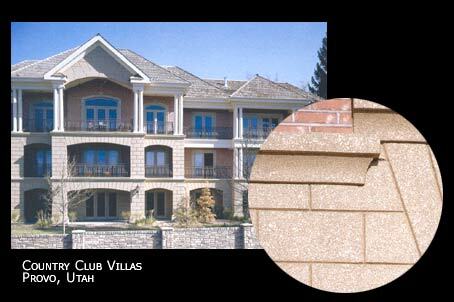 Dryvit EIFS can significantly reduce heating and cooling costs for the life of a building. Value. TerraNeo reduces the total construction cost because it is 1/35th the weight of granite. Shipping costs can be much lower as well. Let your imagination dictate design. Dream it . . . then Dryvit. TerraNeo contains no pigment. 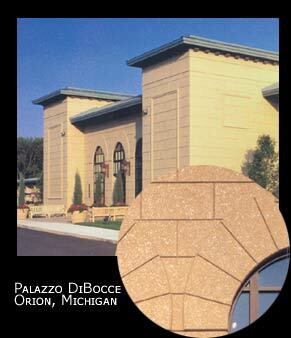 Its coloration is derived entirely from Dryvit's artistic mixture of natural aggregates and mica. The ten standard colors shown here are the most popular combinations used by architects and designers today. TerraNeo has the appearance of natural granite and as with all Dryvit finishes, TerraNeo can be custom blended to suit your taste or meet your design specifications. 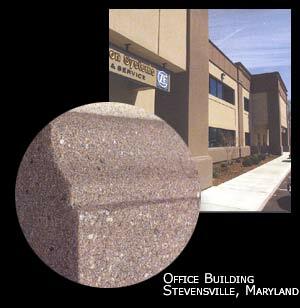 Dryvit is able to replicate virtually any stone sample you send us for reference. Information contained in this brochure conforms to the standard detail recommendations and specifications for the installation of Dryvit Systems, Inc. products as of the date of publication of this document and is presented in good faith. Dryvit Systems, Inc. assumes no liability, expressed or implied, as to the architecture, engineering or workmanship of any project. 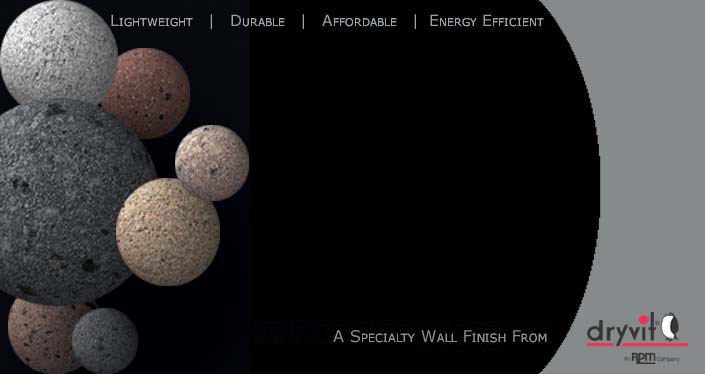 To ensure that you are using the latest, most complete information, contact Dryvit Systems, Inc. It is the intent and purpose of this web-based color guide to provide a basic representation of Dryvit Systems TerraNeo and is offered as a sales aid only to select a range of colors for final selection. This web-based color guide shall not be used for final color selection as color differences will occur from one computer to another. 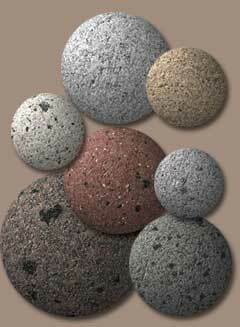 Actual color selection should be made from 8" x 10" samples of each TerraNeo color to be used on the project. Samples shall be prepared using the same tools and techniques proposed for the actual installation by the applicator/contractor.